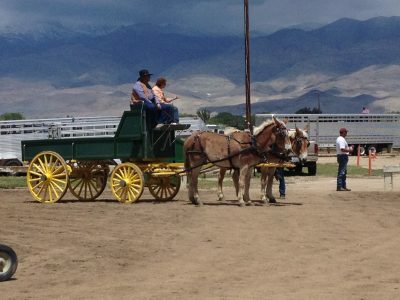 To a Bishop Mule Days volunteer, Mule Days never really ends. 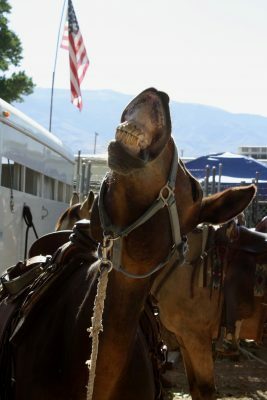 Oh sure, everyone packs up and goes home, the fairgrounds hosts other events, and the seasons change, but Mule Days is always right around the corner. 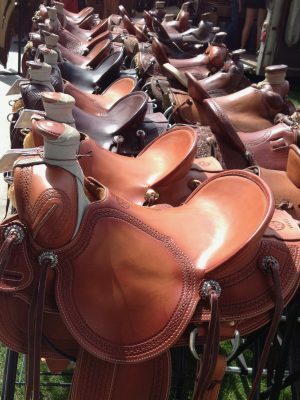 If you are like me, you have a pre-packed bin of Mule Days gear – shirts that are too nice to ride in everyday, a favorite lanyard, a Mule Days branded ball cap, and that special wildrag packed and ready to go. 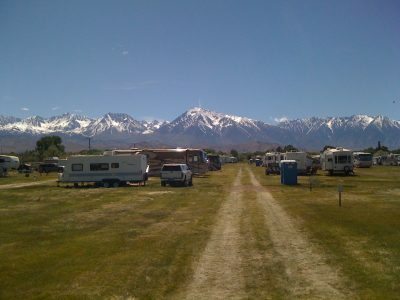 Our Memorial Day plans rarely change – load the camping gear and head to Bishop! Is it too early to start packing? 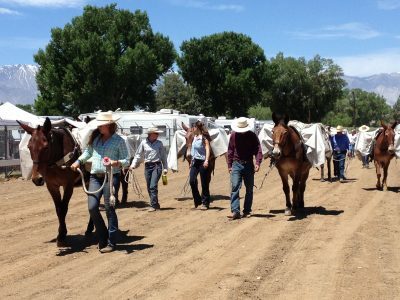 Bishop Mule Days is a week long event run by an army of volunteers. The motto is “When a town becomes a team” and it is truly impressive to be a part of this amazing group of people. Volunteers staff the entrances, organize campers and stock trailer parking, they set up dining halls and serve meals, they patrol the fairgrounds and answer countless questions, they sell tickets, stock souvenirs, and scrub bathrooms. For ten days volunteers are on site watching the very first of the competitors pulling in and setting up camp to the very last of them pulling away for home. Many volunteers come from out of town, and camp right alongside the contestants and attendees at the fairgrounds. I started volunteering in 2005, so I’m a bit of a newcomer. There are people who have been a part of this event for as long as it has been in existence and one of the great joys of a volunteer is to rack up the years. 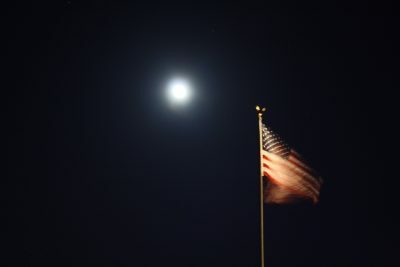 Like many, I was brought into the fold by a friend who volunteered. In turn, I’ve invited additional friends to join the team and some have stayed, while some have moved on. One thing I can count on, every year, is that I will see people that I don’t see any other time but Mule Days. 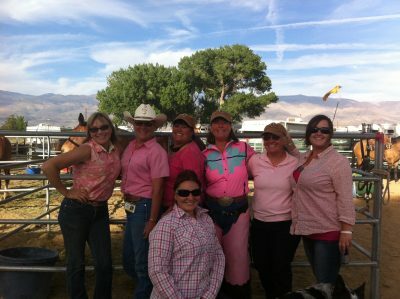 It’s an annual reunion of sorts; a work / play reunion based on our mutual love of all things equine and western. You don’t have to have special skills to be a volunteer – but if you do, you might find those skills utilized at the event. The most important thing you can bring is a can-do attitude with a strong sense of responsibility. If you say you will do it, do it. Showing up is what counts, and you end up being part of a large family of people who show up. This is a beautiful thing. One of my favorite parts of being a volunteer at Mule Days is being on the inside of all the action. Personally, I’ve always enjoyed events when I have a job to do – when I’m the host or the caterer or have some other role outside of just attending. Being a volunteer gives me a purpose and an investment in the event. After working with others on my committee over the years, we have bonded as friends, and while there are always new people joining our committee and always people leaving, we maintain a strong sense of community. We stay in touch year round and really look forward to our annual reunion. 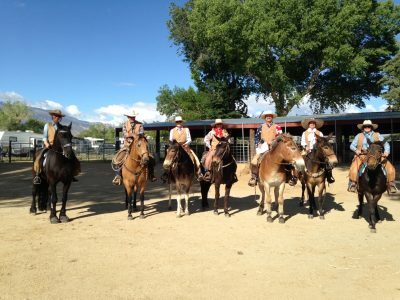 Although the planning begins much sooner, the semi-official kick-off to Mule Days is the Volunteer Dinner. We gather at the fairgrounds for a casual evening of food, conversation, and schedule sign-ups. We are reminded of the important role we play in the success of Mule Days, and we are thanked for doing what we do. If we travel from afar, we are also most likely settling in at the fairgrounds. 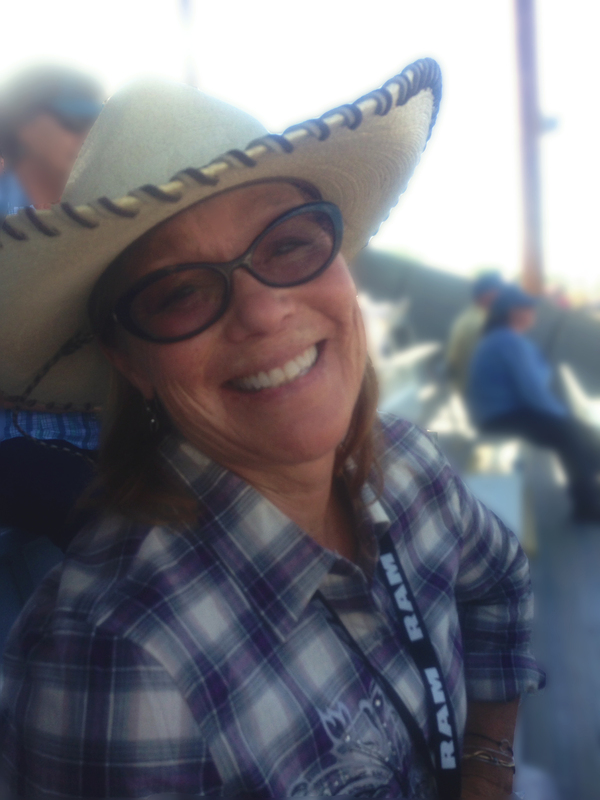 I like to set up camp early and watch the activity ramping up as days pass… trucks and trailers rolling in, vendors setting up their booths, competitors grooming their mules and practicing their events. 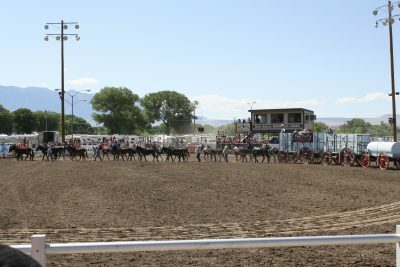 It starts out like a small town rodeo, but by Memorial Day weekend it is a bustling, vibrant, noisy, exciting happening with lots of people and animals moving about. Volunteer days start early and end late. 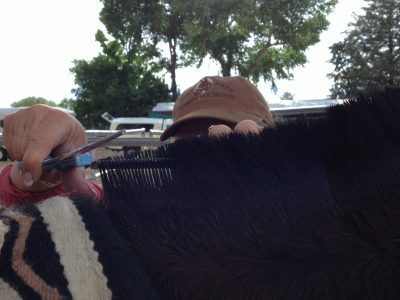 We’re up at dawn feeding animals and cleaning pens at our camp. 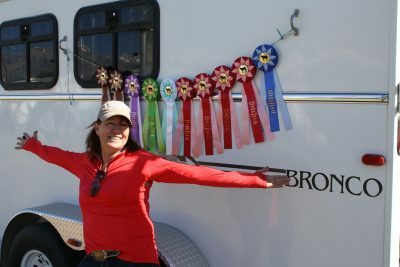 Competitions begin by 7 am most mornings, shows end around 9 pm, and volunteers run it all. We try not to miss the volunteer lunch served daily because walking into that cool, shady building is such a treat after a morning of sun and dust, plus the food is good and there is plenty of it. Back at camp the ice chests stay stocked with water, ice, and refreshing snacks for our afternoon shifts. 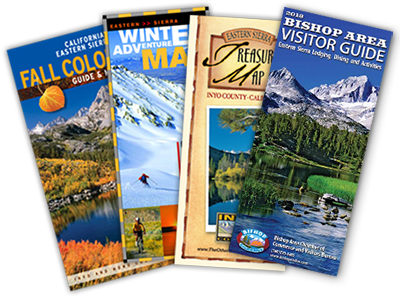 We check our schedules, re-apply sunscreen, and adjust our hats before heading out again. We check on animals and are on the lookout for lost children (or parents). 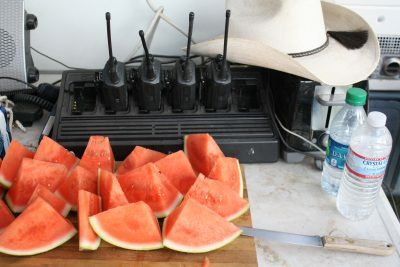 We answer questions, problem solve, check our radios, apply more sunscreen, and drink more water. The weather is notoriously fickle over Memorial Day, so we layer up or down, trading wide-brimmed hats for ball caps when the winds pick up, and packing that rain slicker just in case. We go where we are needed, step up to fill in if there is a no-show, and sneak peeks at the ongoing shows and competitions between shifts. During breaks, since we camp onsite, there’s time to cruise the vendors – multiple times. 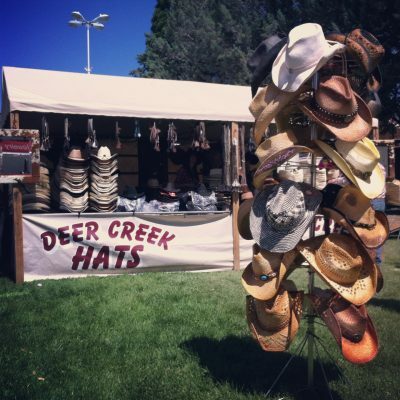 Everyone I know saves up for Mule Days… a great place to find tack, hats, camp gear, jewelry, art…. 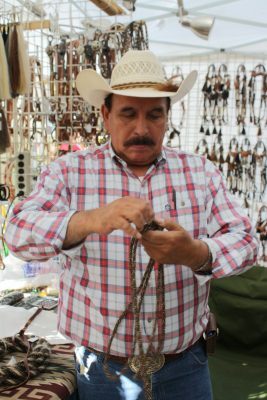 just about anything western you might have on the list. 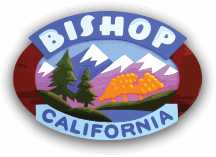 And if you can’t find it at the vendors on site, the Memorial Day Arts & Crafts Festival runs all weekend just down the road at the Bishop City Park. Evenings, after the shows and our last shifts, are for campfires and conversation. We gather around new-fangled fire pits that keep the fires from destroying the grass underneath, and listen to music from someone’s well-curated playlist, share food we’ve prepared, and talk about the day, our plans for tomorrow and just about anything else that comes up. Other volunteers drop by to visit. It’s camping, but with a purpose. Everyone turns in pretty early, because as I mentioned – the days start early! 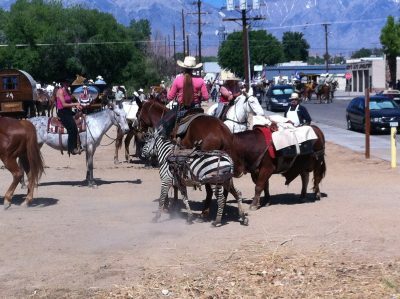 Being part of an event like Bishop Mule Days is something I’ll continue as long as I’m able. 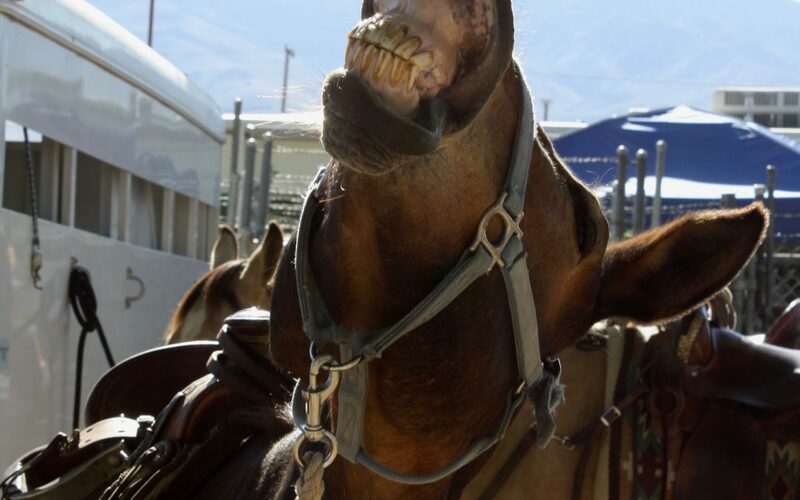 Celebrating history, Americana, the west, traditions, and skills in a location unparalleled for its beauty, Bishop Mule Days is a bucket list item for many people, and for volunteers it is something we get to experience year after year from a unique perspective. There’s always room for new volunteers, and we hope you’ll consider joining the team. Don’t hesitate, it’s just around the corner!